In H1 2017, gross take-up in the main regional cities amounted ~40,000 sq. m, dropping by 50% when compared with 2016. The largest office deal closed in the first half of 2017 in a regional market has a rentable area of ~7,000 sq. m. and was delivered in Timisoara. 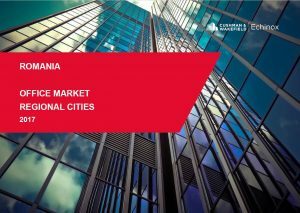 Class A & B office space in Cluj Napoca, Timisoara, Iasi and Brasov reached 693,500 sq. m. at the end of 2016 and 60,000 sq. m were delivered outside Bucharest in H1 2017. Going forward and analyzing the pipeline for H2 2017 – 2018, approximately 250,000 sq. 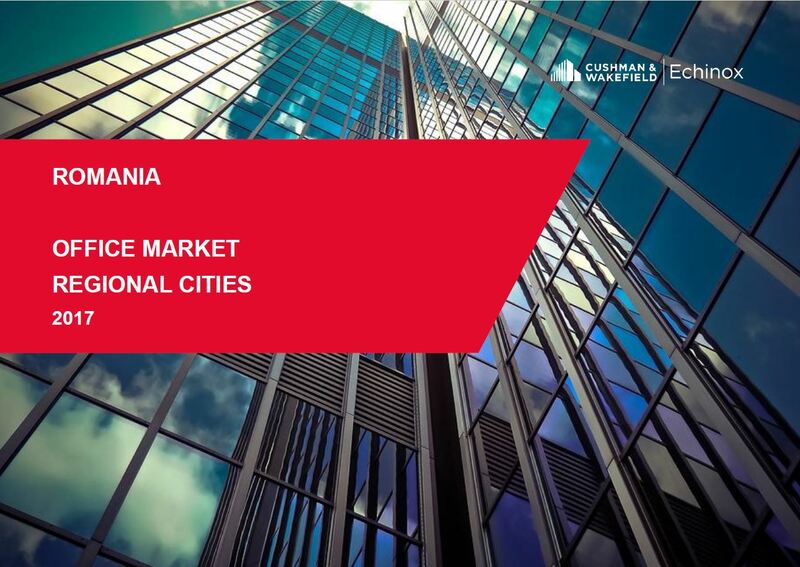 m of office space are scheduled for completion, with Cluj Napoca and Timisoara accounting ~75%. At the end of 2018, the modern office stock in the main regional cities might reach ~ 943,000 sq. m.